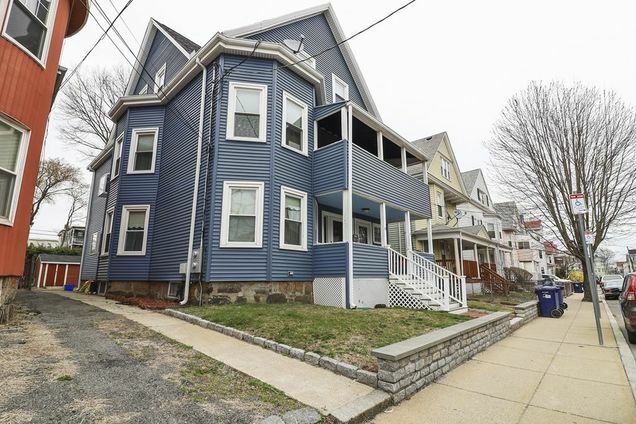 Listing courtesy of MLSPIN / Amanda Rosa / Jack Conway & Co, Inc.
Dorchester Ave to Belfort Street. Hello, I’m interested in 10-12 Belfort St and would like to take a look around. The details on 10-12 Belfort St: This multifamily located in Dorchester, Boston, MA 02125 is currently for sale for $1,250,000. 10-12 Belfort St is a 4,300 square foot multifamily with 6 beds and 3.5 baths that has been on Estately for 8 days. 10-12 Belfort St is in the Dorchester neighborhood of Boston and has a WalkScore® of 87, making it very walkable. This multifamily is in the attendance area of Edward Everett Elementary School, Boston Collegiate Charter Lower School, William E. Russell Elementary School, Clap Innovation School, Mather Elementary School, John W. Mccormack Middle School, Paul A. Dever Elementary School, Josiah Quincy Elementary School, John Winthrop Elementary School, and Community Academy Of Science And Health. Listing Courtesy of: MLSPIN and Jack Conway & Co, Inc..